Associate Professor of Physics, Salvador Barazza-Lopez, from the University of Arkansas, is part of a team that published a review article based on the properties of strained graphene and various other strained two-dimensional atomic materials in the esteemed Reports of Progress in Physics, a review-style journal published by the Institute of Physics in the United Kingdom that has a huge impact factor of 14.3. It is possible to assume atomically thin materials as membranes, which bend in order to adapt to other materials, and also alter their properties when pulled from two opposite edges. Optical and electronic properties of atomically-thin membranes are altered due to bending and stretching. A detailed description of these effects is provided by the 62 page published article. This comprehensive project was led by Gerardo G. Naumis at the Institute of Physics National University of Mexico, and it took about one year to be completed. Besides giving me the opportunity to summarized work performed at Arkansas over the last six years, the two weeks spent working at the Institute were memorable. Constant access to the Trestles supercomputer at the Arkansas High Performance Computing Center was vital for completing a number of these studies. The review establishes the crystallographic description of mechanical deformations, and also the diffraction pattern for a variety of representative deformation fields. Analysis was performed on a wide range of theoretical approaches in order to study the electronic properties of strained graphene. Interesting properties, such as a mixed Dirac-Schrödinger behavior, a fractal spectrum related with quasicrystals, emergent gravity, topological insulator states, in molecular graphene and various other discrete lattices were included. Latest improvements to alter the optical conductivity of graphene by strain engineering are provided, which make way for new paths in device applications. A brief review about the strain effects in monochalcogenide-monolayers, work currently performed at the Barraza-Lopez group, is presented, along with a brief discussion about interplays among thermal effects, strain and illumination in the latter material family. 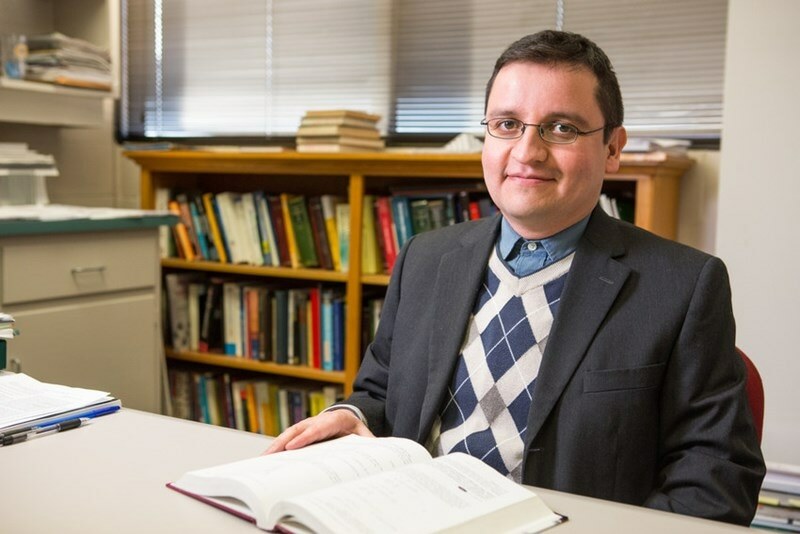 Additional contributors include Oliva-Leyva, a Postdoctoral Associate at the Institute of Materials at the National University of Mexico, and Humberto Terrones, the Rayleigh Endowed Chair Professor of Physics at Rensselaer Polytechnic Institute.